Learn how mindfulness can be used to promote health and well-being while facing stress, pain, and illness. Each class builds upon the previous session. There will also be lively discussions on stress management, coming off auto-pilot, the mind-body connection, how mindfulness changes our relationship to thoughts, feelings, emotions, and pain, as well as other health-related subjects. Learn about Stress Physiology, the Stress Reaction Cycle, and how stress affects our health. Try some of the meditation techniques. Get practical suggestions on applying mindfulness in everyday life and on breaking old reactive patterns. Cultivates the ability to pay attention in an open, non-judgmental way to our surroundings and what is contained in the present moment. Provides clearer appraisal of the reality of situations. Reduces reactivity and stress, and stress related illnesses. Builds resilience around health, thoughts, feelings, and emotions. Enhances mindful communication and problem solving. Adds richness to our daily lives by increasing awareness of everyday activities, such as: walking, driving, eating (tasting food without distractions), etc. Our six-week series is based on the highly acclaimed and widely studied MBSR Program developed by Dr. Jon Kabat-Zinn PhD. Learn mindfulness practices and secular forms of meditation. See how you can use the power of your present moment awareness to reduce stress and promote wellbeing. This experiential and intensive six-week training program, Essentials of MBSR, offers a powerful, integrative approach for tapping into and mobilizing inner resources for healing and well-being. Participants can develop a life-affirming approach to living with many stress-influenced conditions such as anxiety, anger, depression, headaches, high blood pressure, sleep disturbances, and gastrointestinal problems. 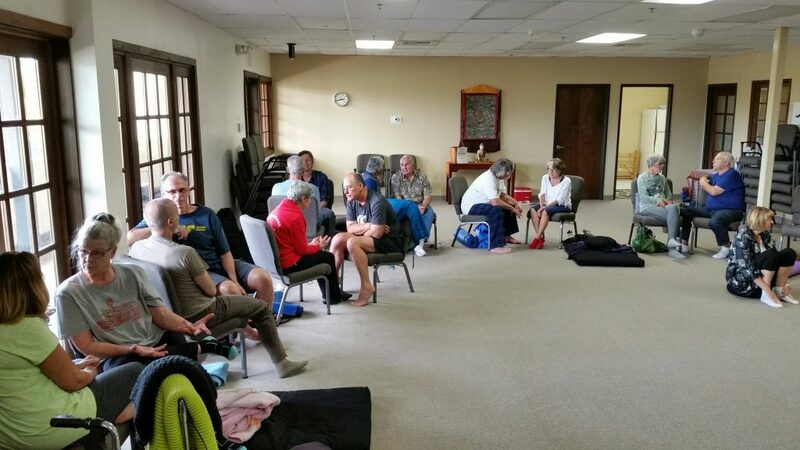 Like the eight-week MBSR program, sessions will include instruction on mindfulness meditation and body practices, including gentle yoga, which we can adapt to suit people of every level of ability. There will also be lively discussions on health-related subjects. This program is open to new students, longtime practitioners and alumni of Mindful-Way. We hope to see you there. Visit our MBSR FAQs page, read testimonials from past participants, or visit our schedule to see upcoming classes.